Composed of 2 different buildings, Hotel Terminus Montparnasse offers pet-friendly accommodation in Paris. Free WiFi access is provided. Some rooms are serviced by a lift while some are accessible through stairs. 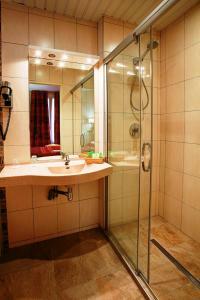 Each room includes a private bathroom and a flat-screen TV. For your comfort, you will find free toiletries and a hairdryer. Orsay Museum is 2 km from Hotel Terminus Montparnasse, while Louvre Museum is a 30-minute walk from the property. 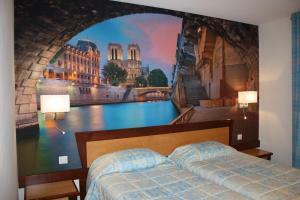 The nearest airport is Orly Airport, 14 km from Hotel Terminus Montparnasse. Please note that a pre-authorisation of your credit card equal to the total of the first night will be made by the property. Baby cots can be provided upon prior request. Extra bed must be confirmed by the property. Certain rooms are located next to the courtyard and do not have lift access or air conditioning. Please inform Hotel Terminus Montparnasse in advance of your expected arrival time. You can use the Special Requests box when booking, or contact the property directly with the contact details provided in your confirmation. Guests are required to show a photo identification and credit card upon check-in. Please note that all Special Requests are subject to availability and additional charges may apply. This soundproofed room offers a flat-screen TV and a private bathroom with a shower, free toiletries and a hairdryer. No air-conditioning. No Elevator access to the room. Serviced by a lift, this room has a soundproofing and air conditioning. 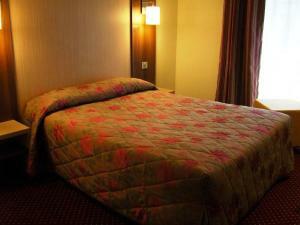 Serviced by a lift, this double room features a soundproofing and air conditioning. Rate: € 105.00 ... € 183.75; select dates below to get current rates. This twin room features a soundproofing and satellite TV. Please note that this room does not have air conditioning and is accessed via stairs only. This twin room has a soundproofing.